Mads got an exclusive look inside Clipse's green room for tonight's concert. 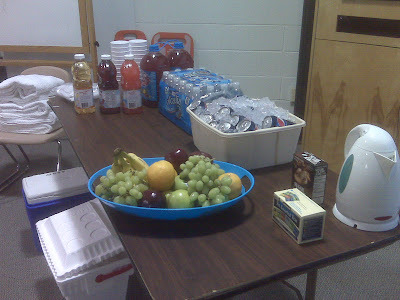 The food table consists of Hawaiian Punch, assorted fruit juices, Pepsi, water, assorted fruit, and tea. 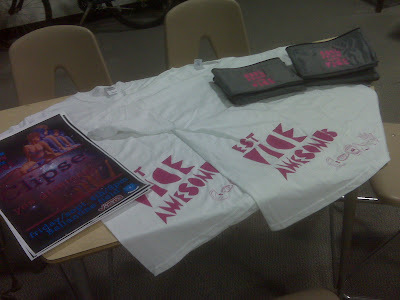 ViCE is also providing them with some merchandise, including the new tee shirts and coolers. Don't miss the concert! 8pm tonight at Ballantine field.